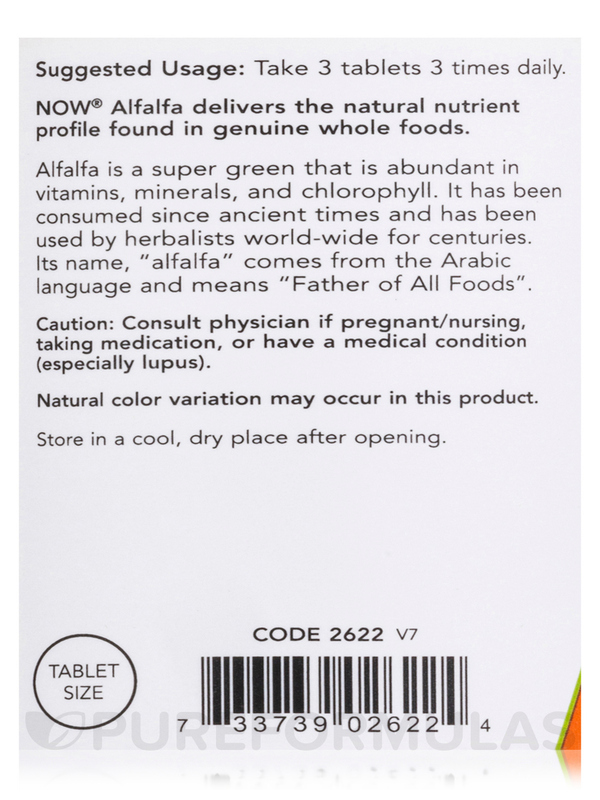 I was concerned about taking Alfalfa 650 mg by NOW in tablets form but they seem to be just as good as the capsules as far as I can tell. I have been using Alfalfa 650 mg by NOW for a long time for my allergies. I used to buy them locally but couldn't find them anymore. When I found them on Pure Formulas I was thrilled. Suggested by our Natural Doctor. Alfalfa contains many important vitamins and minerals that your body needs. Aids greatly with digestion. 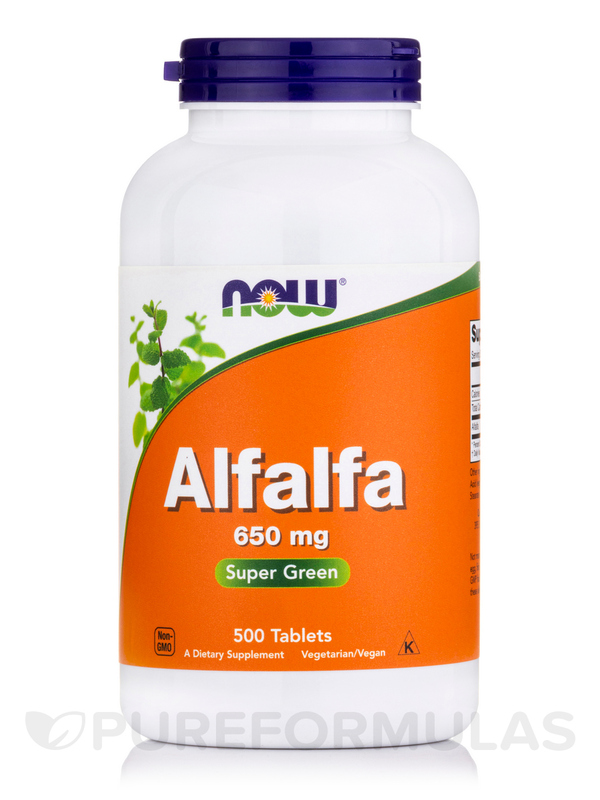 This Alfalfa 650 mg by NOW is a good product. Alfalfa is a green superfood that is rich in vitamins‚ minerals and chlorophyll. It is an excellent source of balanced nutritional content and has been used for many centuries. The ancient Arabs used Alfalfa as a feed for their horses‚ claiming that it made their horses faster and stronger. 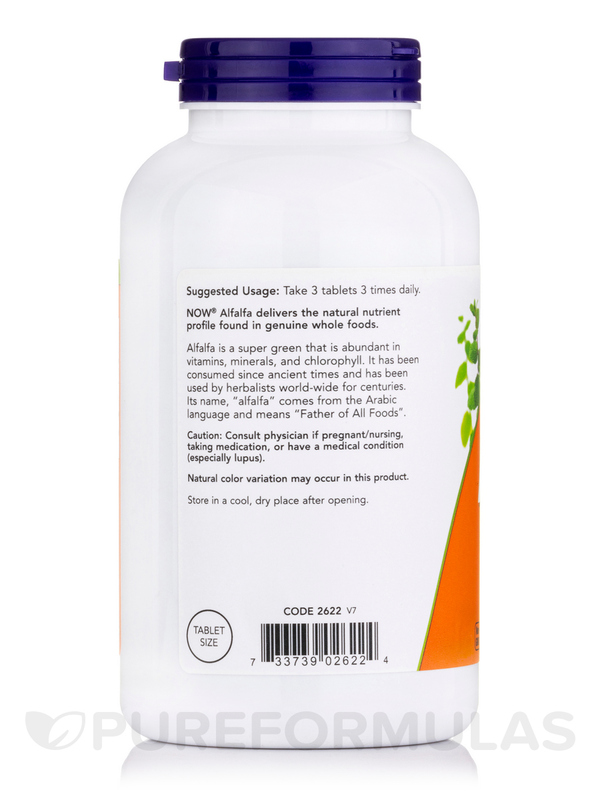 After using Alfalfa grass themselves‚ they became so convinced of its health benefits that they named it "Alfalfa" which in Arabic means "Father of All Foods". 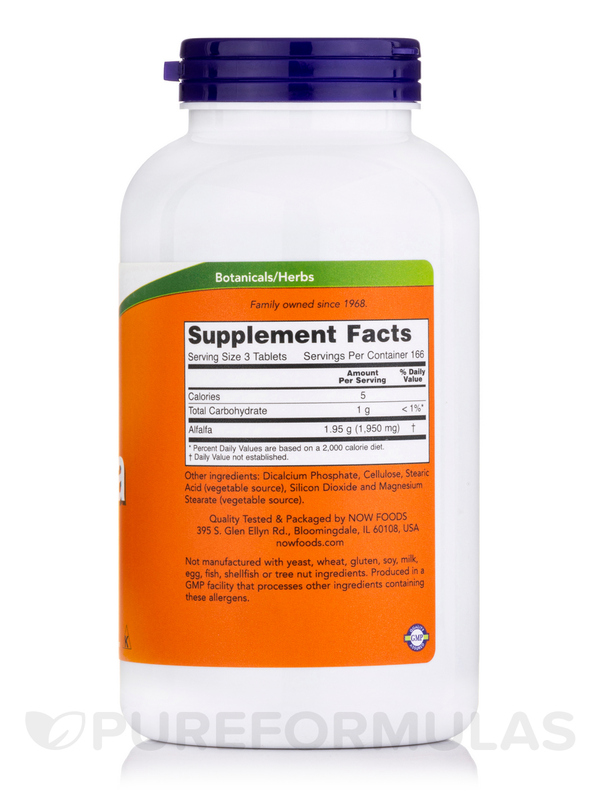 Other Ingredients: Cellulose‚ Silica‚ Stearic Acid (vegetable source) and Magnesium Stearate (vegetable source). 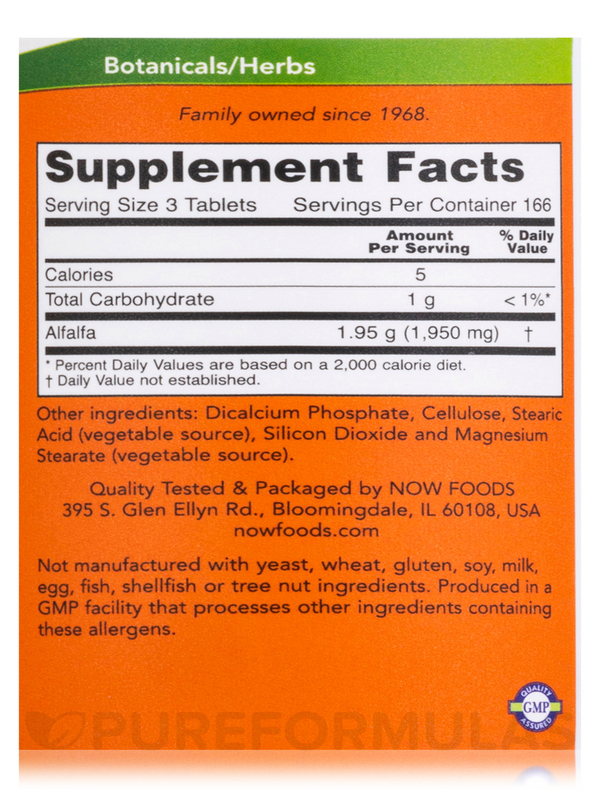 As a dietary supplement‚ take 3 tablets 3 times daily‚ preferably between meals. They work for me, and I would definitely recommend them. They leave a little powdery residue in my pill container, but that's a small price to pay. A friend told me about the health benefits of Alfalfa. Alfalfa is excellent ! I will continue to use it! The quality is great and so is the price! Stops symptoms of GERD after 1 week.